We’ve teamed up with Lord’s Cricket Ground to offer you the chance to win two tickets to the final Vitality Blast match between Middlesex and Essex Eagles on Thursday! Located a stone’s throw away from St John’s Wood Station, Lord’s Cricket Ground is just ten minutes from central London and twenty minutes from Canary Wharf on the Jubilee Line, making it an easy and convenient destination for an after-work night out. For the T20 Vitality Blast an array of international stars are set to grace the hallowed Lord’s turf, including the likes of England’s Eoin Morgan and Dawid Malan, plus Middlesex’s overseas signings Dwayne Bravo and Ashton Agar. There promises to be a fantastic night of entertainment both on and off the pitch at Lord’s. 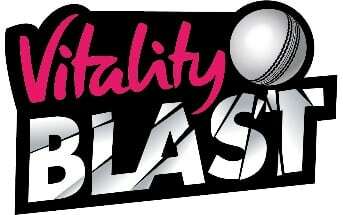 Blu Sky Publications, publishers of AustralianTimes.co.uk and TheSouthAfrican.com, has teamed up with Lord’s Cricket Ground to offer you the chance to win 2 tickets to the final Vitality Blast match between Middlesex and Essex Eagles on Thursday 16th August. What is the common term used in cricket when a batsman scores no runs? To enter the competition: email your name, mobile number and answer by 2pm (London) on Thursday to [email protected] with the words LORD’S VITALITY BLAST in the subject field. A winner will be randomly selected from the emails with the correct answer.